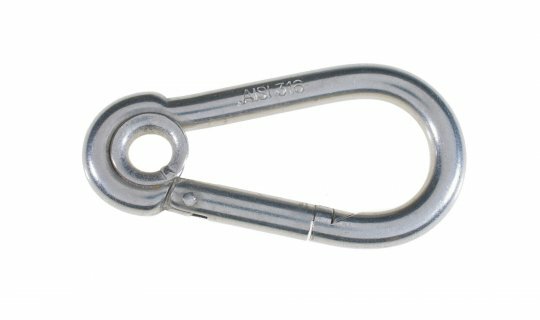 AISI316 stainless steel construction carbine hook with enclosed eye. 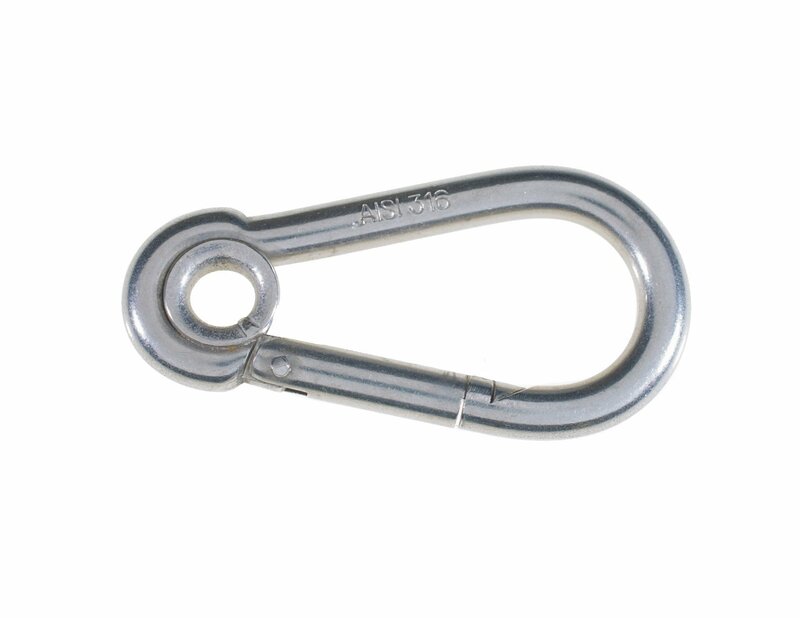 The carbine hook has an overall length of 70mm with 7mm diameter wire. Special Offer rate of £1.00 each.